If you need to print a lot of paper fast, laser printers outpace inkjets every time, but color laser printers usually cost hundreds of dollars. Not today. 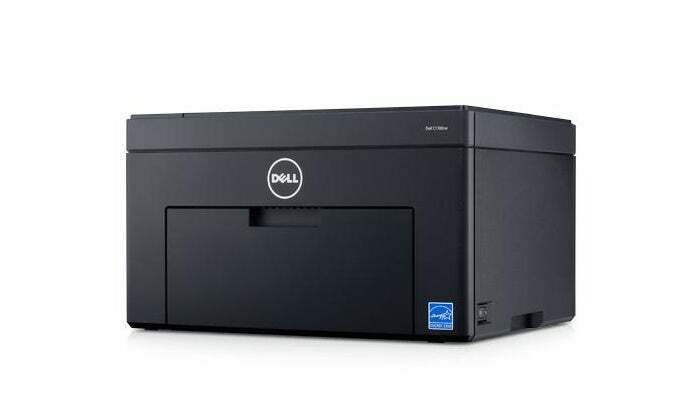 Staples is selling Dell’s C1760nw color laser printer for just $75, down from its $250 MSRP. That’s a huge price drop compared to what you’ll find elsewhere. A third-party seller on Amazon has it for $138, and Best Buy’s selling it (on sale) for $220, though Staples had the same deal on this printer last April. This printer can print 1200 dpi images, but laser printers aren’t ideal for photo replication (though we haven’t tested this model). Instead, laser printers excel at creating sharp, crisp text with basic visual elements, and spitting those pages out at a faster rate than inkjet printers. The Dell C170nw prints 15 pages black-and-white pages per minute, or 12 pages per minute in color. The input tray can hold up to 150 sheets. There’s also a 10-sheet bypass tray, and a 100-sheet output bin. Dell’s printer includes built-in 802.11b/g/n Wi-Fi, ethernet, and a USB 2.0 port. Onboard controls include a five-button panel and a two-line LDC display. If you’d like to print from your phone, this printer works with Dell’s Mobile print app for iOS and Android. It doesn’t have Google Cloud Print built-in—though you can turn your main PC into a cloud-supporting print server as a workaround. It also doesn’t work with Apple’s AirPrint. On the downside, this printer doesn’t have automated double-sided printing, nor does it have an automatic document feeder. But hey, it’s just $75 right now. That’s cheaper than the cheapest monochrome laser printers at Staples and Best Buy, and even many refurbished laser printers at Staples.